The situation of human rights defenders in Saudi Arabia remains critical as during the past week two human rights defenders have started a hunger strike while the unjust prison sentence against another was upheld. Detained human rights defenders Dr Abdullah Al-Hamid and Dr Mohammed Al-Qahtani, have began a hunger strike in protest against their conditions in al-Ha'ir prison in Riyadh. The hunger strike was precipitated when, on 3 March 2014, Dr Abdullah Al-Hamid and Dr Mohammed Al-Qahtani, were transferred to an area in the prison where smoking is allowed. They opposed the transfer and began an open-ended hunger strike in protest and in demand of better food and health care treatment in the prison. Both defenders have endured harassment by prison officers including by having their books and personal belongings confiscated and being placed in cells that pose serious dangers to their health. Abdullah Al-Hamid and Mohammad Al-Qahtani have allegedly placed in solitary confinement since they started their hunger strike. It is reported that their lawyers were denied access to them when they arrived at the prison on 5 March 2014. This latest development comes at the time of the first year anniversary of their imprisonment following their sentencing on 9 March 2013. They are co-founders of the now dissolved Saudi Civil and Political Rights Association (ACPRA), an organisation that recorded human rights violations and assisted families of detainees held without charge. The Gulf Centre for Human Rights (GCHR) has issued previous appeals on their case including one on 11 March 2013 following their sentencing (http://gc4hr.org/news/view/362). 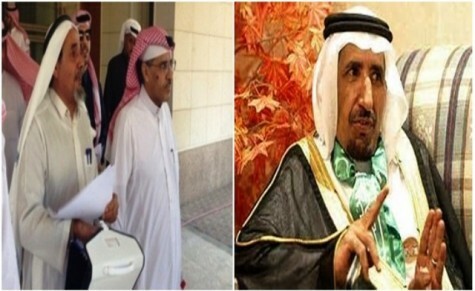 On 5 March 2014, the Special Criminal Court in Riyadh, presided over by Judge Nasser Al Harbi, upheld the verdict against human rights defender Mikhlif Al-Shammari. The sentence included five years in prison, a ten-year travel ban to commence on completion of his sentence, and a ban on his writing articles, accessing the Internet and appearing in the media. The sentence related to eight charges including, attempting to discredit the Kingdom of Saudi Arabia in the eyes of internal and external public opining, stirring sedition, and insulting clergy and accusing state officials on dishonesty. Reportedly, 106 days, which he spent in detention in 2010 based on the same charges, will be taken into account in the five-year sentence. He reportedly, intends to appeal the verdict to the Court of Appeal specialized in State Security and Terrorism before 4 April 2014. Mikhlif Al-Shammari is a writer and prominent human rights defender who advocates for reform and democratic change in Saudi Arabia. The GCHR issued a previous appeal on his case following his initial sentencing (For further information see http://gc4hr.org/news/view/441). The GCHR expresses serious concern at the situation of Dr Abdullah Al-Hamid, Dr Mohammed Al-Qahtani and Mikhlif Al-Shammari. It expresses further concern for the health and safety of Dr Abdullah Al-Hamid and Dr Mohammed Al-Qahtani in light of the fact that they are on hunger strike and have been denied access to their lawyers. The GCHR believes that Dr Abdullah Al-Hamid, Dr Mohammed Al-Qahtani and Mikhlif Al-Shammari are being targeted by the authorities as a direct result of their peaceful and legitimate work in the promotion and protection of human rights in Saudi Arabia.